Renee Rosen is the author of the new book Dollface: A Novel of the Roaring Twenties, and the novel Every Crooked Pot. A former advertising copywriter, she also has written for publications including Chicago Magazine and the Chicago Tribune. She lives in Chicago. Q: Why did you decide to write a novel set in the 1920s, and how much research did you need to do to recreate the period? 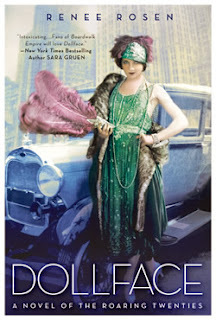 A: The Twenties have become really popular in recent years and people assume that I started writing Dollface because of all the hype around Boardwalk Empire, The Great Gatsby, etc. But really, my obsession with the Roaring Twenties began about 10 years ago. Back then I was working on a very different novel set in the early 20th century that just touched upon the 1920s. But the more I learned about the Twenties, the more fascinated I became. Eventually I chucked the other storyline and just focused completely on the Roaring Twenties. I simply fell in love with the era--everything from the clothing, to the slang, to the culture back then. I found it all so captivating and hope that others will too. 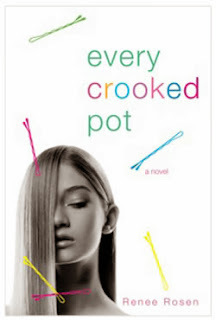 Q: You blended real and fictional characters in the book--what did you see as the right balance? A: That’s a great question! I knew that I wanted Vera to be the main character and she is a hundred percent fictional but in order to make her believable, I had to anchor her and the other fictional characters in with real people and real historical events. Plus, you really can’t tell a story of the Twenties in Chicago without Capone and his rivals, the North Side Gang. Vera’s story, though fictional, really grew out of the times and the real life gangsters who walked the streets of Chicago back then. Q: Do you have a favorite among your characters? A: I do. Although I love Vera and I love my gangsters, I have to say that Basha is my favorite. She just stepped onto the page fully drawn and did whatever she wanted. I had no say and found it impossible to control her. I never knew what she was going to do from one scene to the next. She was constantly surprising me. Q: Did you know before you began writing what would happen in Vera's life, or did you change things as you went along? A: I don’t outline but perhaps I should because I didn’t have a clue what would happen to Vera when I began writing Dollface. It all unfolded as new characters came in and out of her life and as society began to change. Also, many plot elements in the book were a result of actual historical events that had a direct impact on the main character’s life. A: I’m just finishing up my next novel, What the Lady Wants, which will be out next November. It’s the story of Marshall Field, the retail tycoon and his 30-year illicit affair with his neighbor, Delia Caton. It’s also set here in Chicago and spans from the Great Fire in 1871 to the early 1900s. Again, I fell in love with the research and was mesmerized by the way he built his famous department store and helped shape Chicago. Along the way, I discovered a lot of dark secrets about Chicago’s elite. They were really America’s Downton Abbey, complete with the grand mansions and servants. It a world that I easily got lost in! A: This book writing stuff—it really doesn’t get easier! I thought after I’d written my first novel that the second one would come easier. Now that I’m working on my third, I can honestly say that’s not true. Each book presents its own challenges both in terms of characters and setting, as well as craft and structure. For example, Dollface is told in first person and What the Lady Wants is third person and that was a major shift for me. But as hard as it is, there’s nothing I’d rather be doing with my life! I can't wait to read What The Lady Wants--it sounds fabulous. Gilded Age Chicago is such a rich vein to work for stories and personalities. I hope that it's a blockbuster success. Thanks for commenting, Greta--it does sound like a wonderful book!